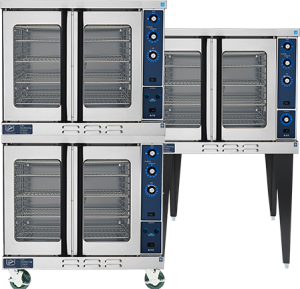 Duke's Convection Ovens are the most trusted and durable in the market. Choose from a variety of configurations and specific features to fit your unique needs. Flexibility at it’s best. Superior construction that is an investment for generations to come. This top-of-the-line customizable series has an array of features and configurations guaranteed to increase your employee productivity and product quality. Small and mighty. 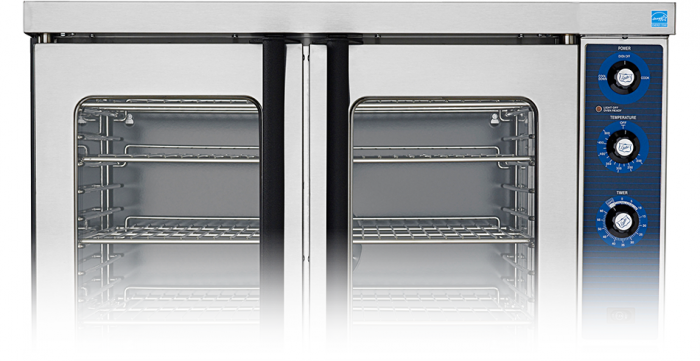 The 5/9 Series delivers exceptional performance while fitting perfectly within your smaller space configurations. A great solution for counter top spaces that still require high volume output, backed with dependability and lasting durability. As an ENERGY STAR PARTNER, Duke ovens rank the highest in energy efficiency, year-after-year. Duke's ENERGY STAR® listed convection ovens were proven to have a higher working efficiency than other gas convection oven brands. View the full comparison here. Not sure? We can help. Whether it’s straight forward or involves complex planning, Duke can help you build a more profitable operation, specific to your needs. 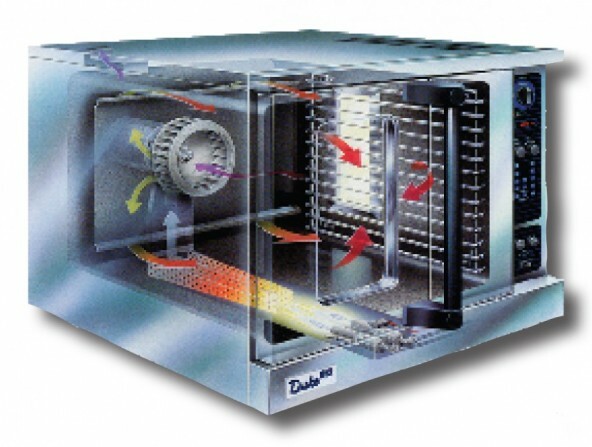 Duke's convection ovens utilize a direct fire system, meaning that heat generated from the burners or elements are concentrated directly into the cooking cavity. This differs from an indirect fired system which heats a secondary cavity and circulates the heated air into the cooking chamber. This, combined with a lessor amount of BTU's (40,000) than most other ovens, enables the Duke Oven to reduce heat up times while providing a gentle, even bake. Duke Convection Ovens offer many distinctive design features to make your cooking experience easy. Duke aims to keep your production as streamline as possible. 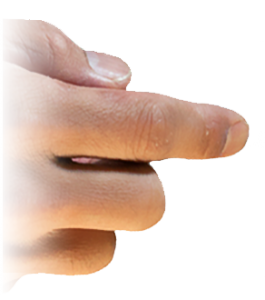 Duke’s warranties will promise you peace of mind.